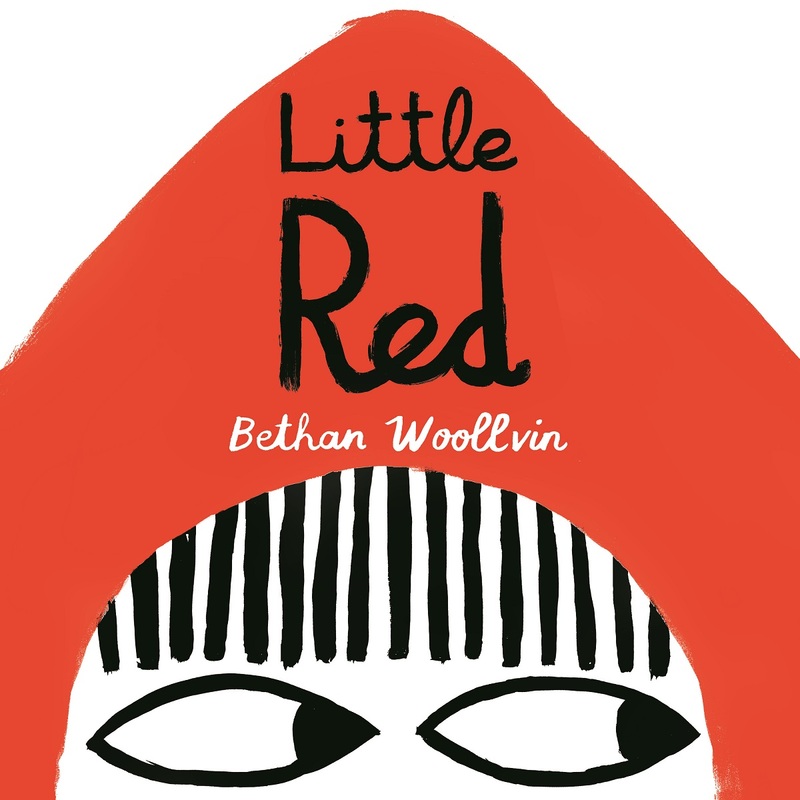 LITTLE RED by Bethan Woollvin is one of many fairy tale retellings you’ll find on bookshelves, in movie theaters, and on television these days. Maybe you gravitate to it instantly, drawn in by the deceptive simplicity and the empowering new twist on a old classic. Or maybe you toss it in an imaginary basket labelled ALL THOSE FAIRY REMAKES, thinking, Why? Why make over these same old stories time after time? Are there no NEW stories to tell? What is the appeal? What’s the deal? Or is there a real value and artistry to the fairy tale remake? Fairy tales provide a number of advantages to children, and to readers of all ages. 1. In fairy tales (and folk tales, their oft-overlooked siblings,) good and evil are made clear, even exaggerated, in ways that allow children to confidently identify heroes and villains. Life itself is rarely so black and white, and it is reassuring to children to know that there is a place—if only in story—where good wins and evil is punished. 2. Fairy tales follow basic patterns: beginning, middle, end; two failures and a success; sacrifice and reward. With early exposure to fairy tales, children learn to recognize these patterns in other stories and apply them to their own narratives. 3. Fairy tales cross cultural boundaries. In fact, there are over 500 variations on the Cinderella story from around the world, dating back as far as ninth-century China. The common themes reflected across multiple times and places helps children feel a connection to and respect for other traditions and cultures. With all those benefits from fairy tales, we could just stick with the classics, right? But there are so many reasons to read re-tellings! 1. Fairy tale re-tellings can take a familiar story to a new setting, teaching readers about differences and similarities across cultures. A great example is GOLDY LUCK AND THE THREE PANDAS, a Chinese-American version of the classic Goldilocks story, written by Natasha Yim and illustrated by Grace Zong. This wonderful re-telling uses the celebration of Chinese New Year, with its themes of friendship and forgiveness, to put a fresh, more responsible spin on traditional Goldilocks tales. 2. “Fractured” fairy tales can present a well-known tale from a new perspective, teaching children that there is always more than one side to a story. Try THE TRUE STORY OF THE THREE LITTLE PIGS by Jon Scieszka, Illustrated by Lane Smith. 3. Re-tellings can change the stereotypes found in classic fairy tales—giving characters more depth, more strength, more realism. When Woollvin’s Little Red steps out of grandma’s house decked in a wolf-fur coat, my daughters cheer. No more naïve damsel in distress waiting to be rescued by a strapping huntsman! 4. New formats of well-known stories teach readers and writers how to create variations on a theme and explore multiple story-tellling techniques. The Ninja Fairy Tale stories by Corey Rosen Schwartz and Dan Santat use humor, rhyme, and martial arts to turn old tales into something truly new and exciting. MOLDYLOCKS AND THE THREE BEARDS by Noah Z. Jones offers a comic-like parody of a classic tale. 5. Re-tellings allow for age-appropriate versions of (sometimes gruesome) classic tales, and for fairy tales aimed at a wide variety of reading levels. From board books to YA novels, there’s a fairy tale re-telling for every age and stage. In poetry or prose, starring princesses or chickens, from wordless picture books to epic series, classic fairy tales allow for an almost infinite number of new perspectives and voices. There’s one (or more) that’s perfect for every reader. Have fun exploring them all!